We all know and love coffee beers – the roasty porters and stouts that pair perfectly with frigid weather and a plate of eggs and home fries. But Saranac’s newest offering is turning the whole coffee beer style on its ear. 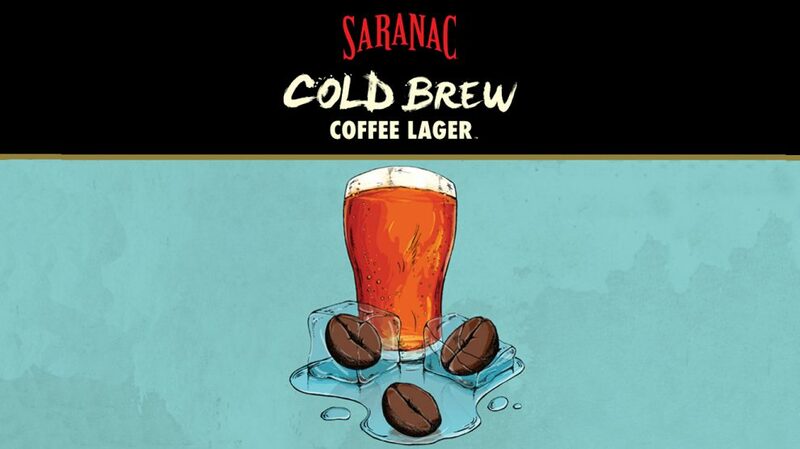 Instead of brewing an ale that mirrors that hearty coffee flavor, Saranac created Cold Brew Coffee Lager. That’s right, a bottom fermented, light and refreshing lager that carries a coffee kick. In tackling this alternate take on the coffee beer style, Saranac had to come up with artwork that says, ‘this is a coffee beer with a twist’. “Showing the beer off was super important – telegraphing that lighter color,” says Martha O’Leary, assistant brand manager for Saranac.